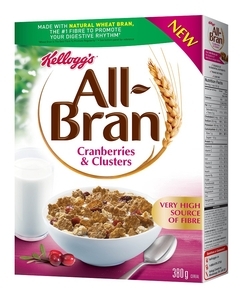 On Checkout 51’s list this week (Sept 26-October 2, 2013) is All Bran – Cranberries & Oat Clusters Cereal, 380g variety. Toasted bran flakes with a lightly sweet vanilla flavour, tangy ruby red cranberries, and crunchy multi-grain clusters. Each serving of All-Bran* Cranberries & Clusters cereal is a very high source of fibre. You will get $1.00 cash back rebate at Checkout 51. Here’s a pic of what it looks like. I found a couple prices of it at a few stores. Checkout51 offer expires midnight Wednesday Oct 2, 2013. You must purchase in Canada and upload your receipt between midnight Thurs Sept 26-October 2, 2013 to qualify for the cash back rebate. Check out here for more Checkout 51 cash rebates for this week.